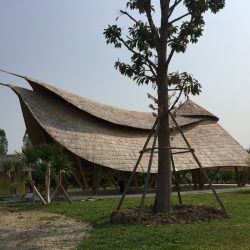 The original Zabb E Lee Cooking School was already successfully established in downtown Chang Mai. 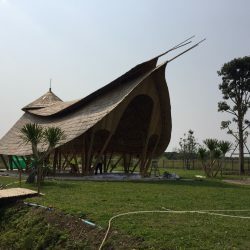 Now the young owners dreamed of something extraordinary that would help attract customers to visit their next project: a cooking school in the middle of their organic gardens at the outskirts of Chiang Mai. 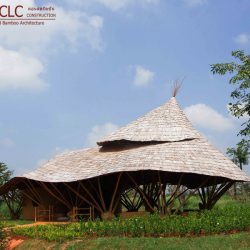 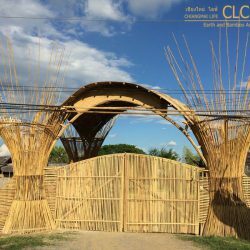 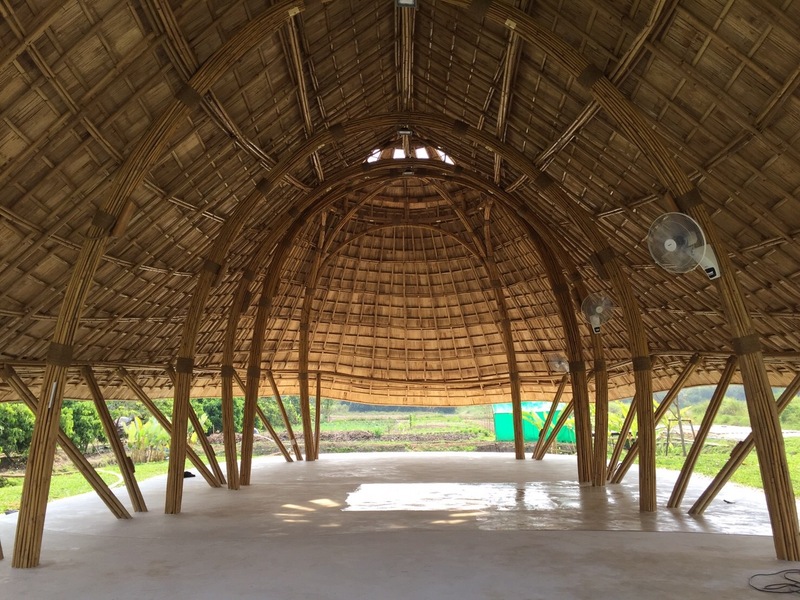 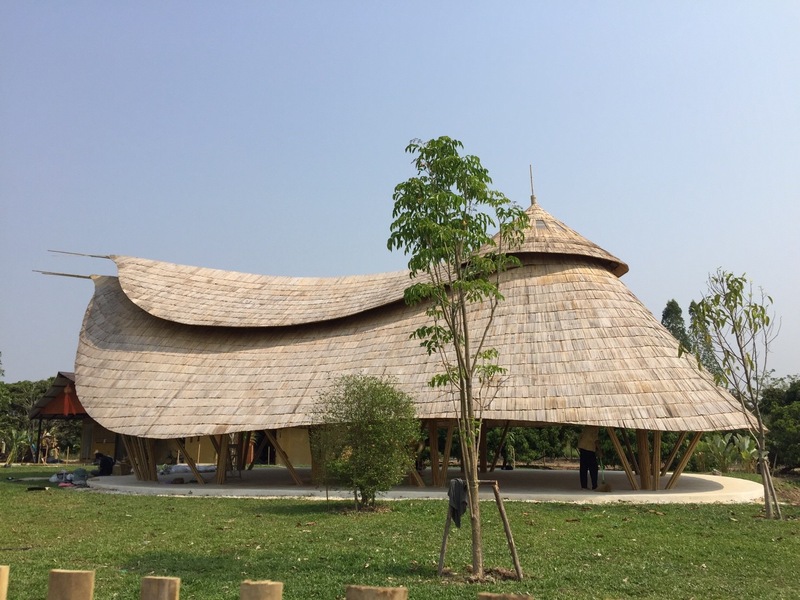 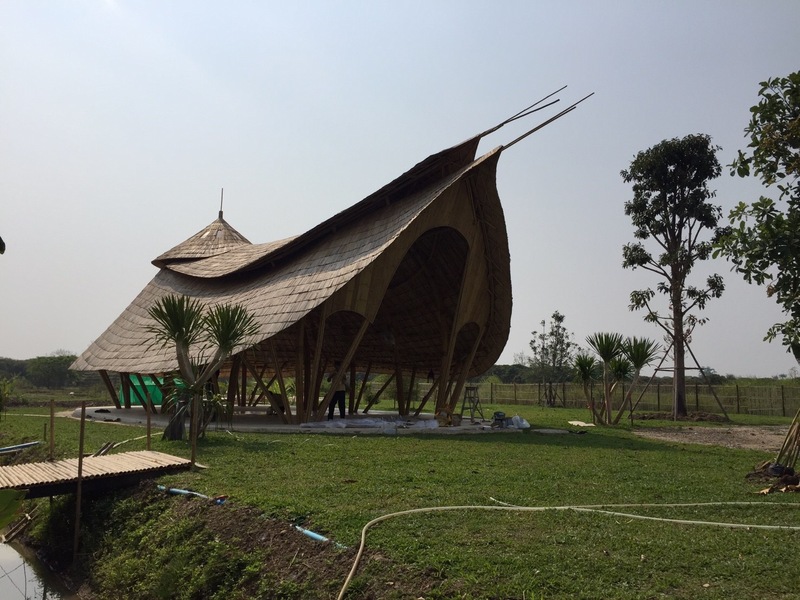 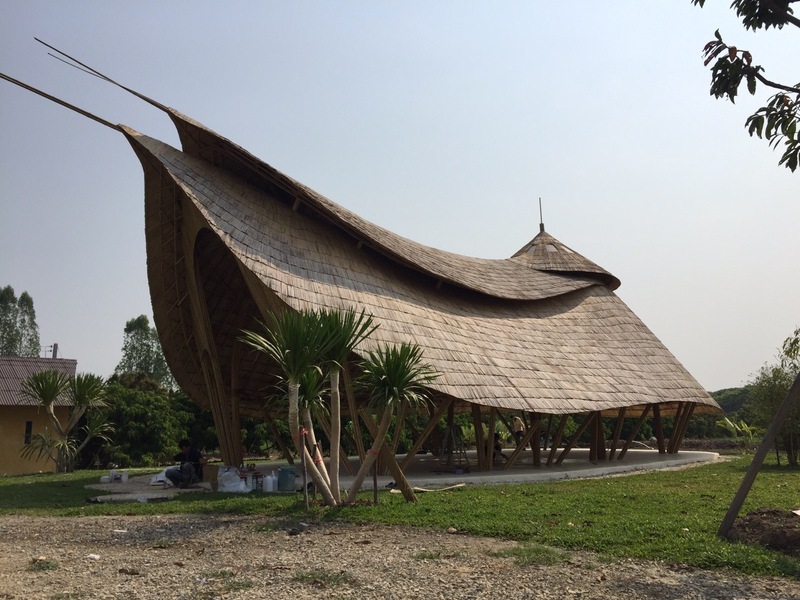 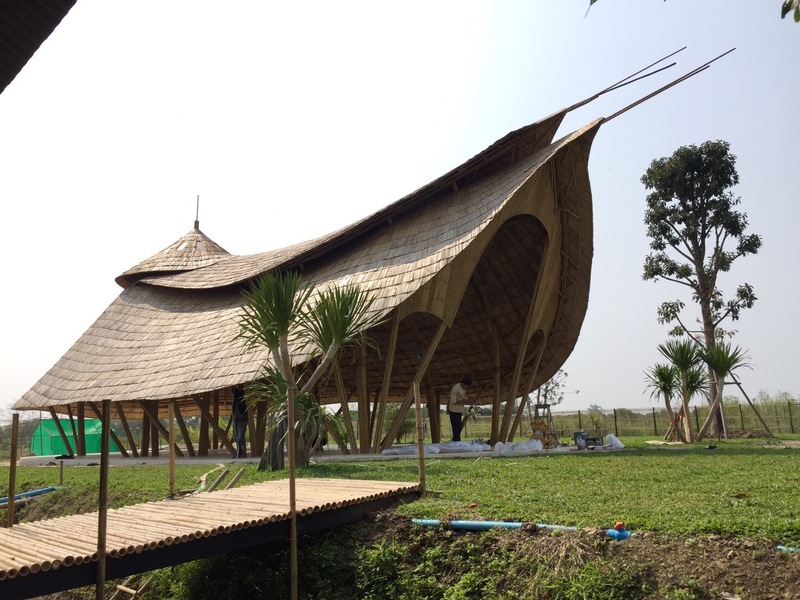 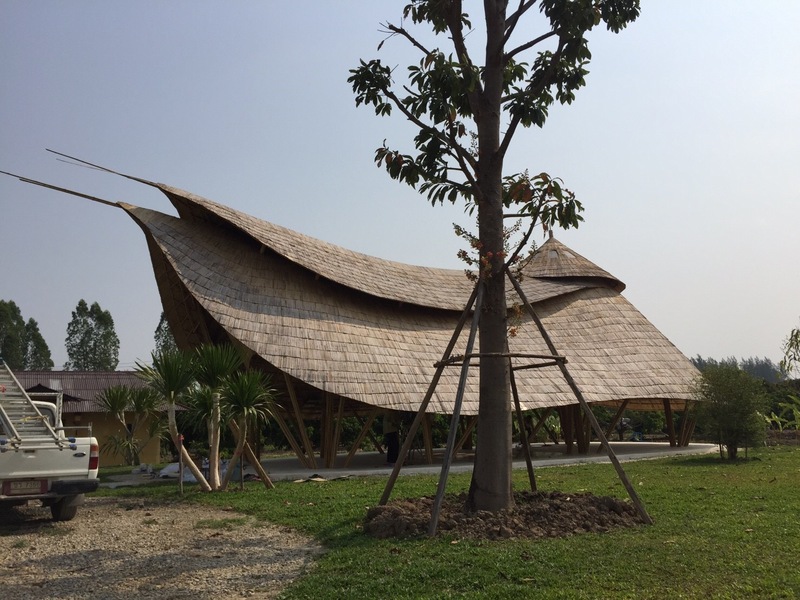 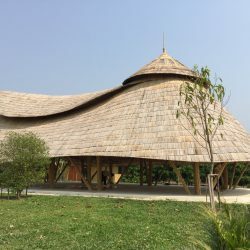 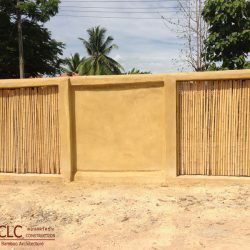 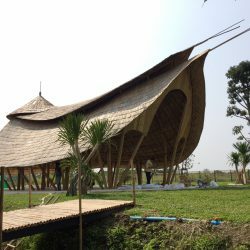 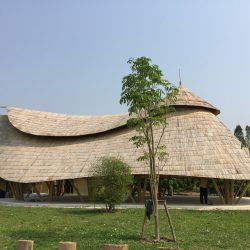 CLA (Chiangmai Life Architects) accepted the design brief using only bamboo. 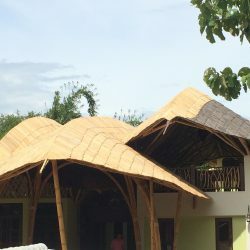 The building had to look dynamic and fulfill the three functions necessary for teaching cooking: first a food preparation area, followed by the actual cooking area with the stoves and ending in a dining space with the right atmosphere for enjoying a good meal with friends and loved ones. 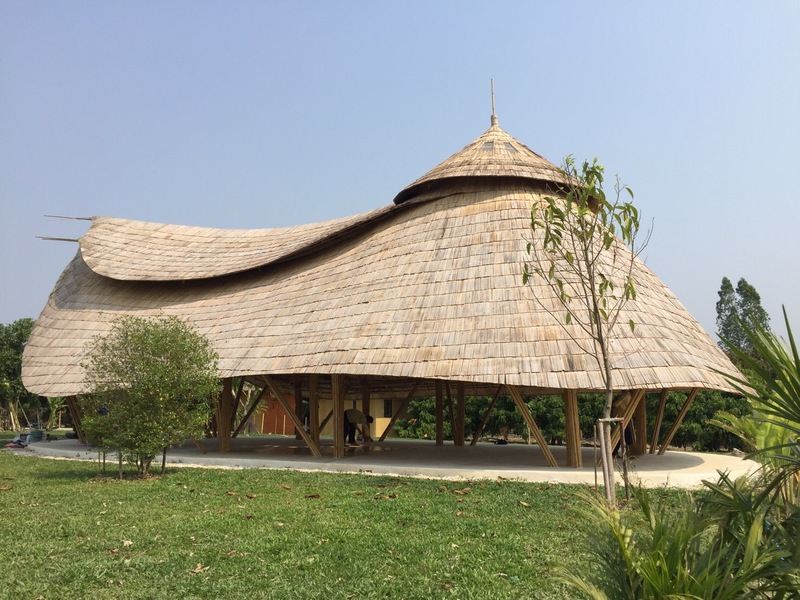 The design features a high slanted entrance that beckons the visitor to enter. 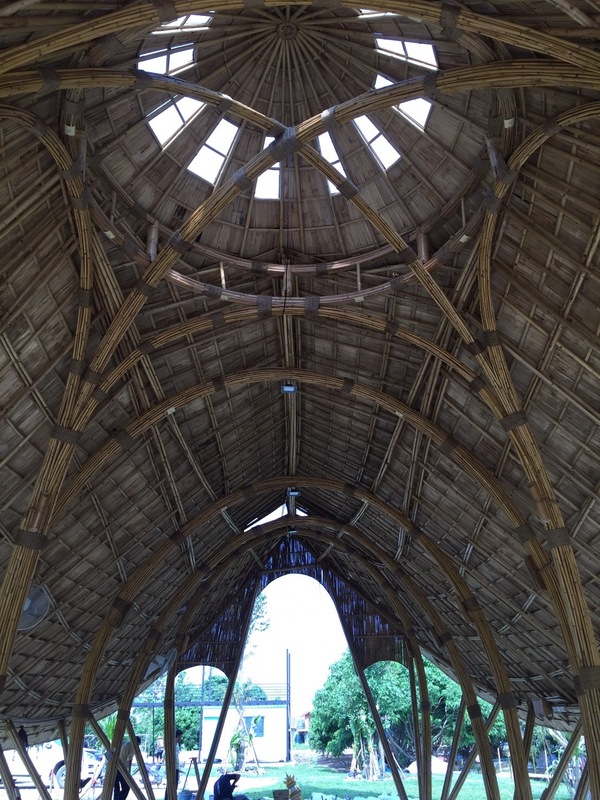 Once inside the observer stands in a long room defined in bamboo arches. 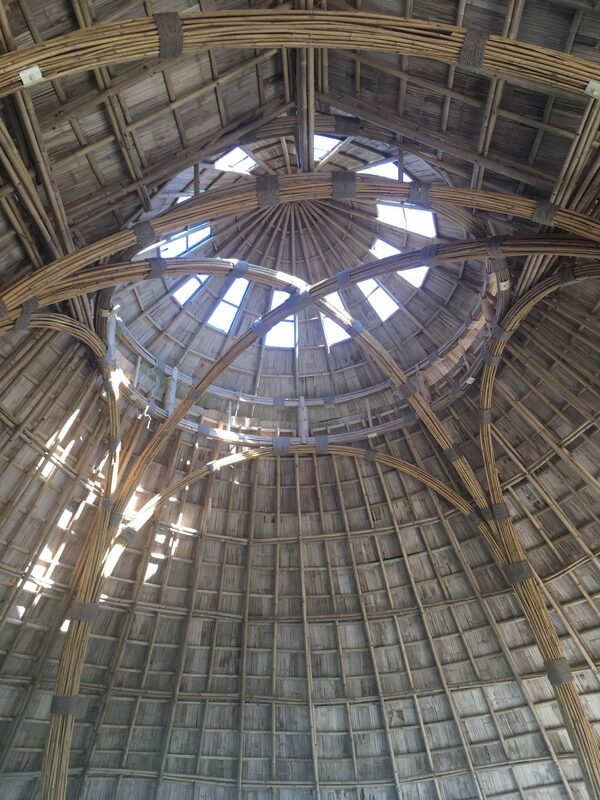 The building ends in a circular dome space higher than the other parts with light openings incorporated in the roof. 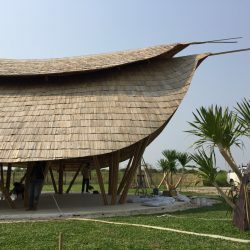 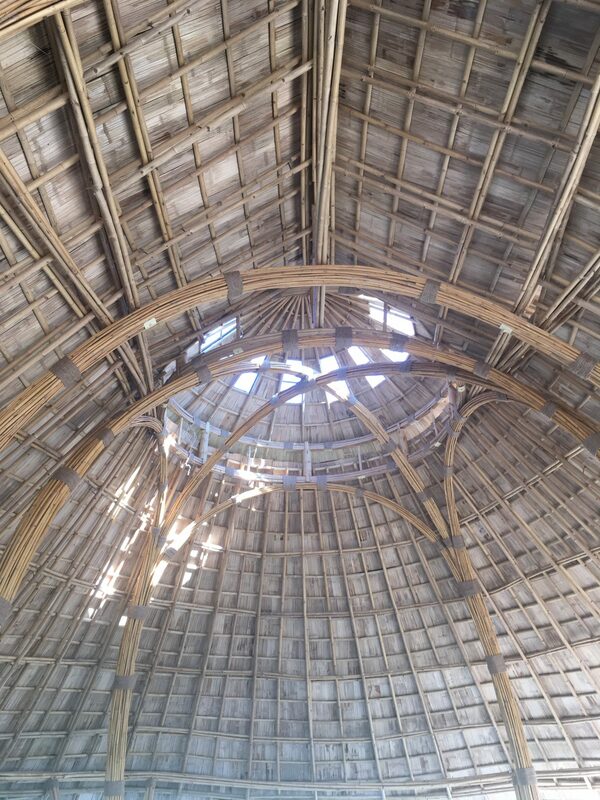 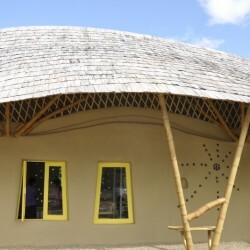 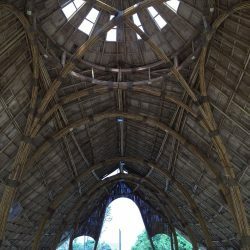 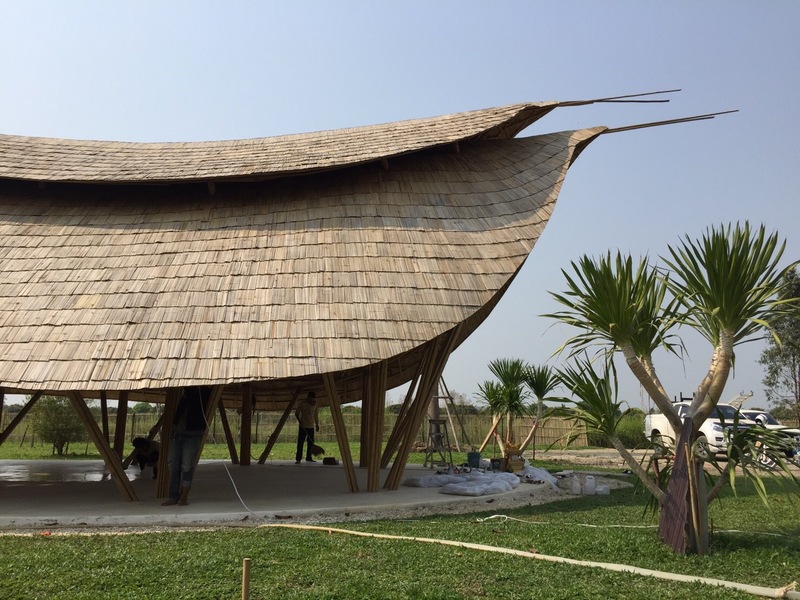 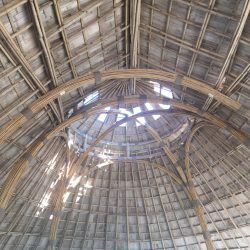 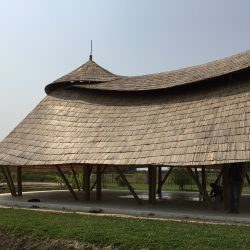 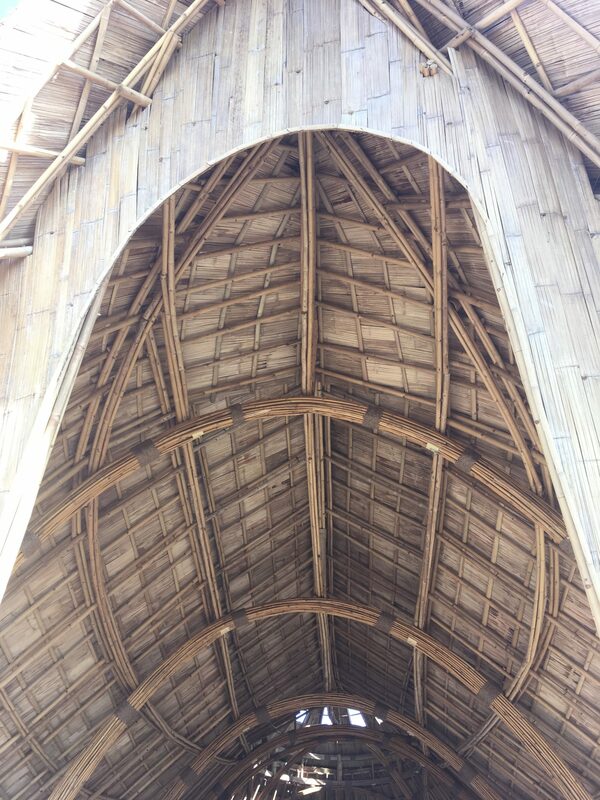 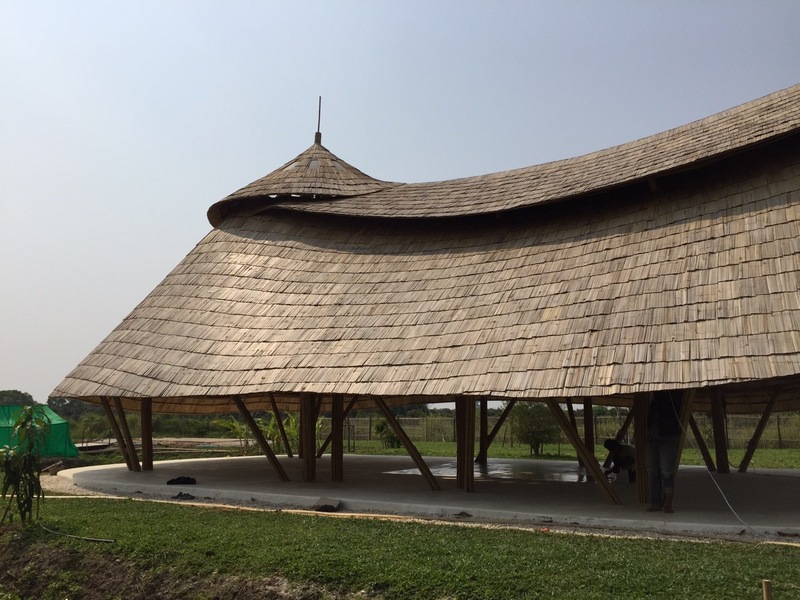 The whole roof is made of bamboo shingles with tar sheets invisibly sandwiched in between. 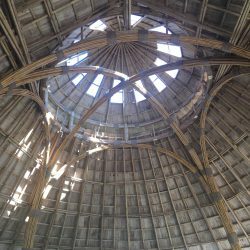 The most remarkable feature from the outside of the Zabb E Lee Cooking School is the double roof shape with long pointers protruding over the entrance and the round dome at its other end. 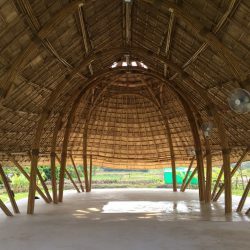 These features make it an outstanding building that is easy to remember. 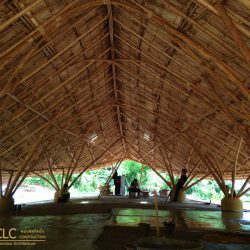 At the same time the organic design and curves together with the natural material integrate the building in its surroundings. 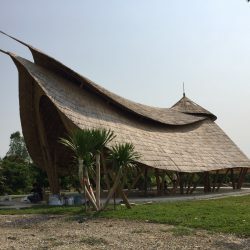 It stands out but doesn’t stand out at the same time. 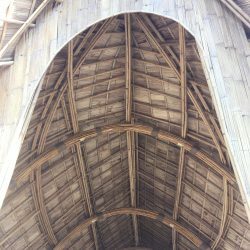 It is unusual but belongs.